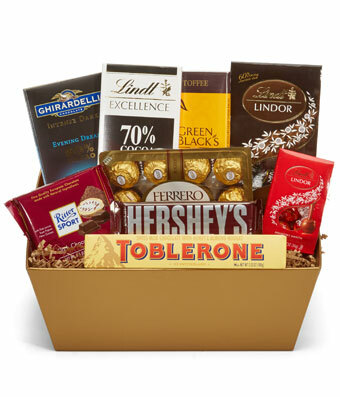 or the chocolate lover, this gift basket is overflowing with delicious and decadent chocolate. Beautifully arranged and hand delivered, this gift is sure to wow them. Please note, that the assortment of chocolates may vary.